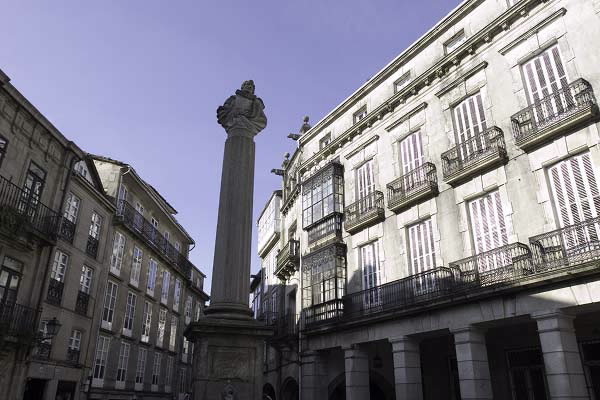 The building was built for the Pereiro Caeiro bank in 1886 in the 19th century academic style. The building has a rectangular floor plan and is constructed of granite masonry. It has a ground floor, two principal floors and an attic. 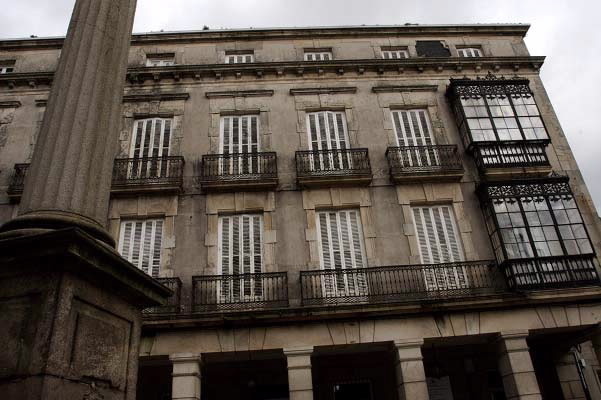 The ground floor has an architraved portico, supported by pilasters, in which there are large windows. 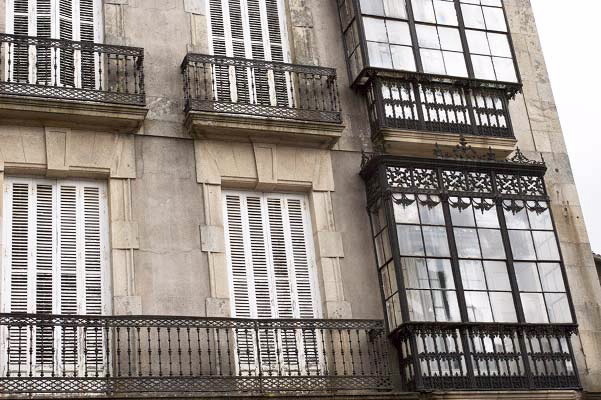 The principal floors have a succession of openings leading to ironwork balconies. There are wrought iron galleries at both ends. In the city centre. Historic district. Accessibility: on foot. To the area: by car.